12 Neighbourhood Plans in London are in force as at January 2019. See at www.neighbourhood planners.london for the latest information. 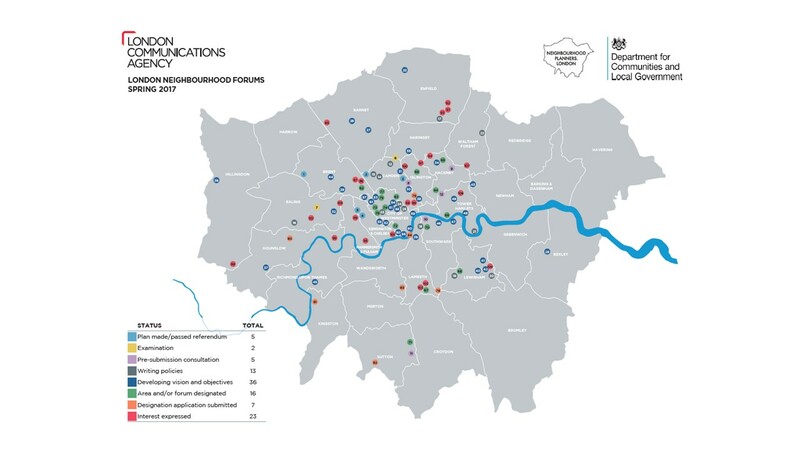 the Local Plans of the London Boroughs, and the Local Plans of the two Mayoral Development Corporations (the OPDC and the London Legacy Development Corporation). any ‘made’ (adopted) neighbourhood plans. These form part of the statutory development plan for the area in question. Planning applications in a neighbourhood area are assessed against the policies and site allocations set out in all four of these layers of the system. There are now over 600 neighbourhood plans in place across England. These are in daily use by planning officers across the country and neighbourhood planning has become a well established part of the planning system.